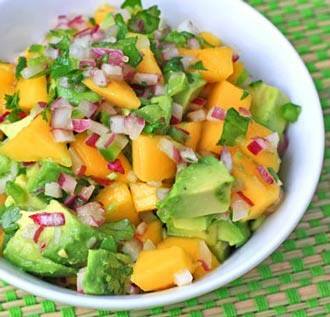 In a serving bowl, combine the prepared mango, avocado, capsicum, onion, coriander and chilli. Drizzle with the juice of one lime and sweet chilli sauce and mix well. For best flavour, let the salsa rest for 10 minutes or longer.